Rivington Great House Barn is one of a pair of barns in Rivington in Lancashire. This one is smaller because it has lost several bays. 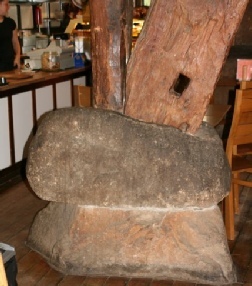 They are both cruck barns with huge oak crucks standing on pairs of boulders. The crucks were hand cut and you can still see the axe or adze marks on them. 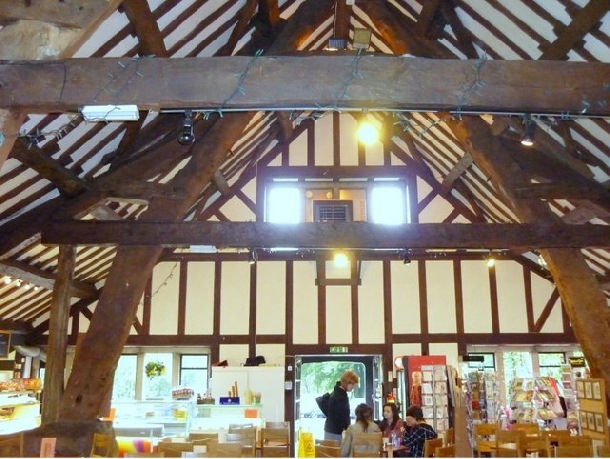 There is considerable disagreement about their date, but they are almost certainly medieval in origin, though considerably altered in 1905 when the aisles were added. 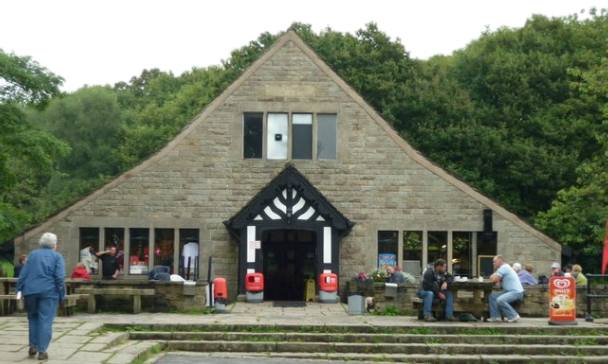 The barn is run as a tea room and shop, open most days. Huge padstones support the crucks. 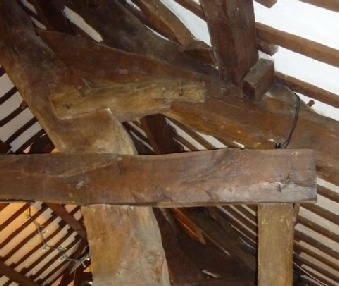 You can see the adze marks on the timbers.